Heian Shrine is a famous structure dedicated to Emperor Kammu, the founder of Kyoto, and the Emperor Komei, the last emperor in Kyoto. 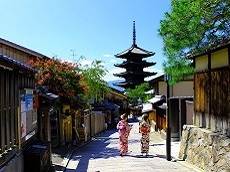 It was built to commemorate the 1,100th anniversary of the founding Kyoto in 1895. Its building, with the exception of the ferro-concrete torii gate, are miniature replicas of the first Imperial Palace built in Kyoto in 794. 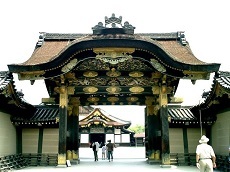 The shrine is well known for it's beauty and is used as a concert venue for Noh plays. 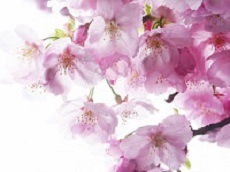 The garden behind the shrine is well known for its water lilies, roses, azaleas, maples and weeping cherry trees. 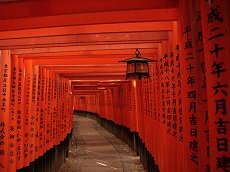 The shrine can be seen in the movie Memoirs of a Geisha when Sayuri crosses the shrine's bridge. The shrine also makes for a popular wedding destination. 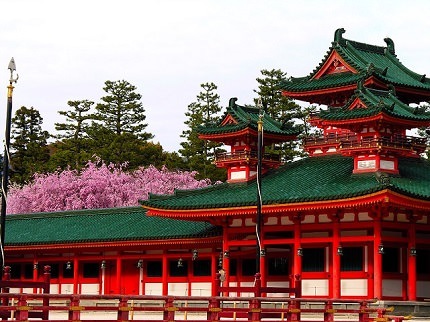 Enjoy the stunning atmosphere of Heian Shrine in Kyoto and be sure to take plenty of photos of this picturesque shrine!